Moving from one country to another in every 3 years sounds fun is not it? It is indeed! Especially if it is a country that you have never been and wonder about how life would be there. 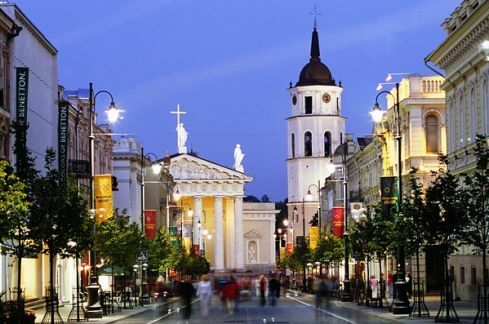 We are moving to Lithuania in 3 weeks. I already know it is a small and cold country but still it is a nice little European city. I have already started imagining myself walking in the streets or riding my bicycle or dropping by a street coffee shop to read. Awww! After Ethiopia it will be quite different. I hope it will be different for good. When I look back my 3 years in Ethiopia, I was mostly happy. I am saying mostly because I had gone through health issues when I was here. However, I think I got the most out of my stay in Ethiopia. I made excellent friends here, they supported me a lot. I joined different activities of sports, acting, yoga, wood-cut printing that I had never had enough time before. I was lucky as a sociologist to live in such a distinct culture and enjoy its differences for years. Slowing down for 3 years also made me change my perspective towards life a lot. First Phase: Joy of being the new in town and free of work! First month was ok because I was amazed being in such a different country. I enrolled in a language class. I joined an informal acting class formed by amazing ladies. 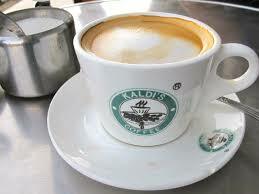 I started to gym which was quite cheaper than Turkey and I enjoyed my coffee over a book in Kaldis coffee shop. But after some time, I started to feel useless since I did not have a “proper” job and did not make any money out of my social activities. Klaus is a total replica of Starbucks!- Anyway Starbucks got the coffee and they have a right to take back the colours, do not they? In my first month, I also decided to start my research on my thesis. Then I realised that the life (research life) was not that easy here. None of my designated contacts wanted to talk to me on my research topic on migration and refugee issues since it was a painful topic here. I was not let in Addis Ababa University Library and I did not have a proper internet connection at home. My optimistic idealism started to replace with questioning my life: What I am doing here? I lost all my career opportunities. Is it even possible to write a dissertation without internet anymore? That’s when I decided to look for something else: Purpose. Third Phase: Learning to walk again and Acceptance! si muove” phase. Translation: Still it moves. Since life is still going on try to adopt yourself to it or perish in depression. I chose the second option. As Elif Shafak stated once in her novel Araf, in a totally new place, hardest is to learn the simple things in everyday life. How people walk in streets, how they drink coffee, where to buy best for cheapest, where to eat and drink and so on. You fool yourself continuously that with every failure you feel more disappointed and feel ready to quit and go back to hiding yourself at home. Do not try to adopt everything to your old life, try to adopt yourself to your new one. Interesting but true, when I stopped bothering myself with negativity, life started to approach me more kindly. When I stopped fighting with it, I realised it quit slapping me in the face. I realised that I underestimated jobless life a lot. It was my backwardness complex that I could not imagine myself without a job. I always overvalued my position. As is always thought, I was a modern educated woman who is supposedly work and contribute to society. And measure of success was either career or money. 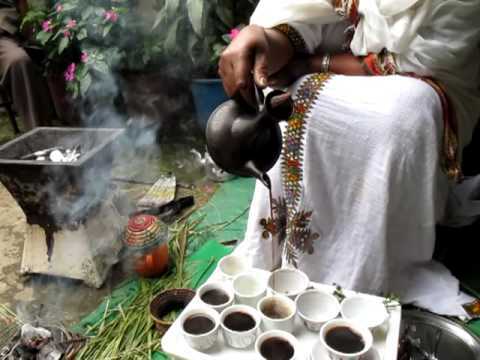 Having thought like this, when I first quit my job to join my husband for Ethiopia, I thought I was sacrificing my career for family. However, I refused to accept that it was my choice. Nobody forced me to do it. I simply preferred this life. I should tell, I found a lot more in simplicity then my life with a job. I have many friends they think they are unfulfilled and less happy although they have definitely everything: a job, a fancy house, a car, kids etc. I think it is not about how much we have but how much we value the things we have, people who love us and life that awaits little appreciation. Now, when I look back, my anxieties and problems at work seem so silly. I feel like I was so childish to bother myself with negativity around me. I know not all of us lucky to be born beautiful, smart, fertile, rich. But still we can make a room to things /people /love that we have instead of longing for ones that we have never had or never will. I do not say that my life is perfect but I can dare to say my perspective is. Is it easy or /hard to get up everyday? Can I bear hearing myself when I am alone without outside noises? What does my voice tell me when I speak to myself? I think you might know the answer now. < Previous Let’s Fight Club One MORE Time! You have been nominated for the Chasterson Award! People must stop traveling to other countries and expecting it to be exactly like their home of origin. Enjoy the country for what it is. If it is a third-world country, don’t expect to have the same state-of-the-art technology that your country has. It is hard for some people to adopt change. It is normal I guess. Because we are raised in different ways and born into different lives.